Blizzard Entertainment held interviews with various fansite communities and stream influencers during the press day to discuss details about the upcoming Patch 7.3. 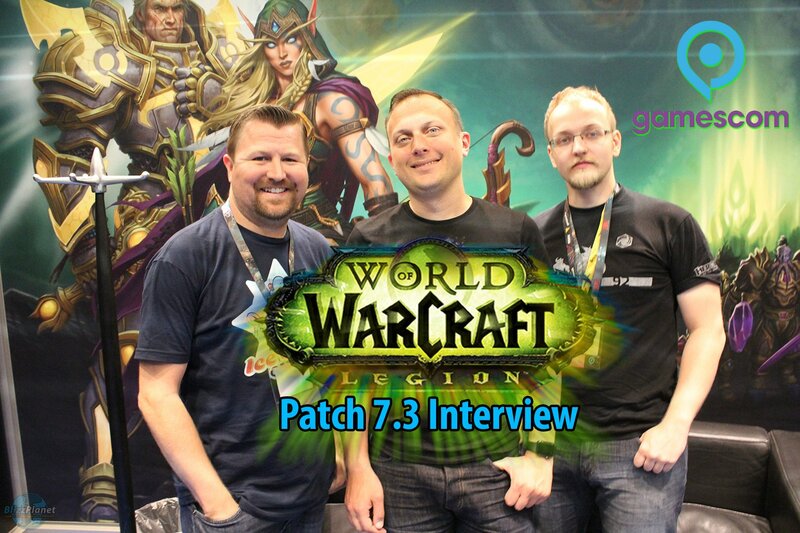 During the GamesCom 2017 press day (Tue, Aug 22), Blizzplanet members Danny Perschonok (Naka) and Arthur Lorenz (Handclaw) had the opportunity to interview game director Ion Hazzikostas about some of the features in Patch 7.3. NOTE: The video now has English Subtitles (CC). Lower the volume to 25% to avoid the loud background noise and music. The video was edited to boost the three voices nearest to the microphone so they can be heard at 25% volume. GamesCom is the noisiest convention in the world. I am Danny with Blizzplanet. We also have Arthur here, and Ion Hazzikostas, and we are going to talk about Patch 7.3. 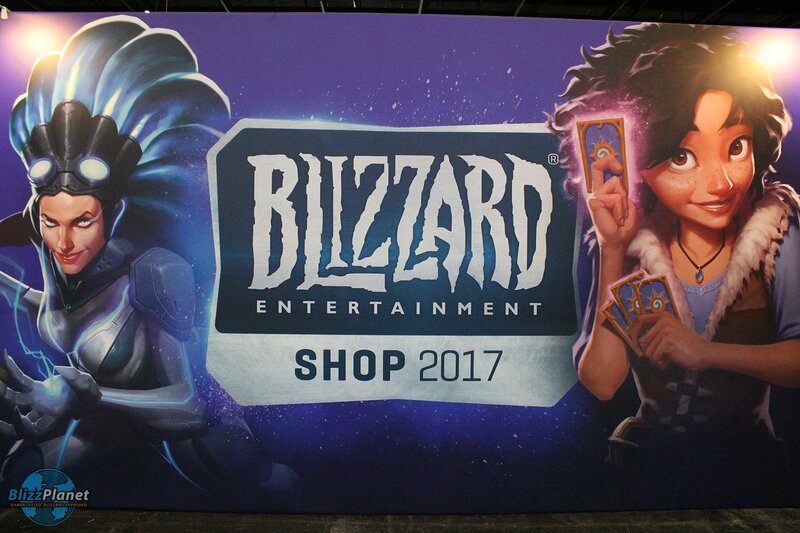 Blizzplanet members Naka and Handclaw share photos of the GamesCom 2017 Blizzard Booth during the Press Day (Tuesday). As usual, Blizzard Entertainment brought amazing banners, displays, statues, and props for all their video games. 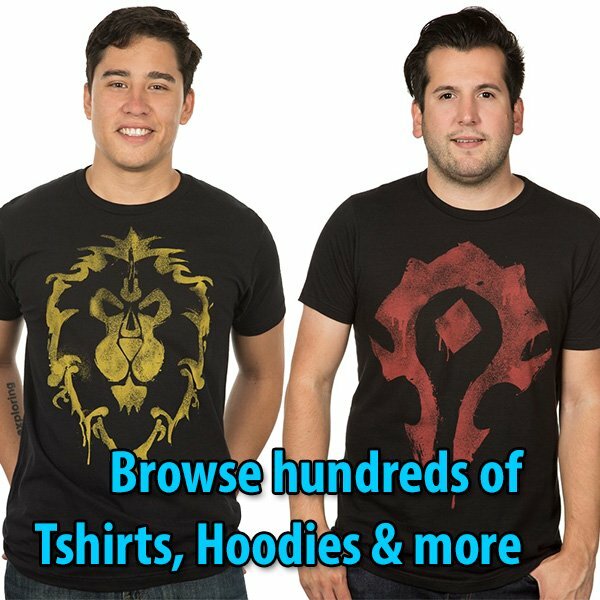 The Blizzard Shop is stock with all kinds of goodies including plush toys, Cute But Deadly figures, Funko POP figures, statues, and more. Update: After you check out all the photos, visit these links to the maker of the Overwatch statues: FXDeco, who show a closer look at different angles and features of these statues. Junkrat; Widowmaker; Tracer and Winston. 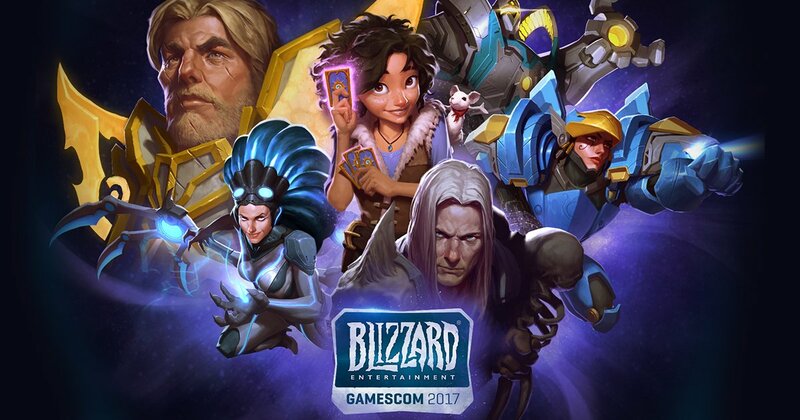 In this GamesCom 2017 Blizzard coverage page, you can browse through everything Blizzard Entertainment revealed at the convention including new content across some of their video games: World of Warcraft, StarCraft II, Heroes of the Storm, Overwatch, and Hearthstone. Blizzard Entertainment announced several new features for all their Blizzard video games at GamesCom 2017. **The original Article speculation has been debunked and corrected. Blizzard Entertainment released the GamesCom 2017 schedule which features a World of Warcraft cinematic reveal on Wed Aug 23 at 6pm. At this point, we are not too optimistic on a new expansion announcement at GamesCom. Maybe at BlizzCon. What I personally think will happen at GamesCom after seeing the schedule is the 7.3 Cinematic reveal. If you start a level 110 character copy in the PTR 7.3, you will notice that after you start the quest to travel from Azeroth to Argus in the Vindicaar, the Legion Cinematic Intro starts to play (as a placeholder). That cinematic has not been unveiled yet in the PTR. So it makes sense that Blizzard will focus its allocated time for World of Warcraft on featuring the 7.3 Cinematic, and some of its core features. 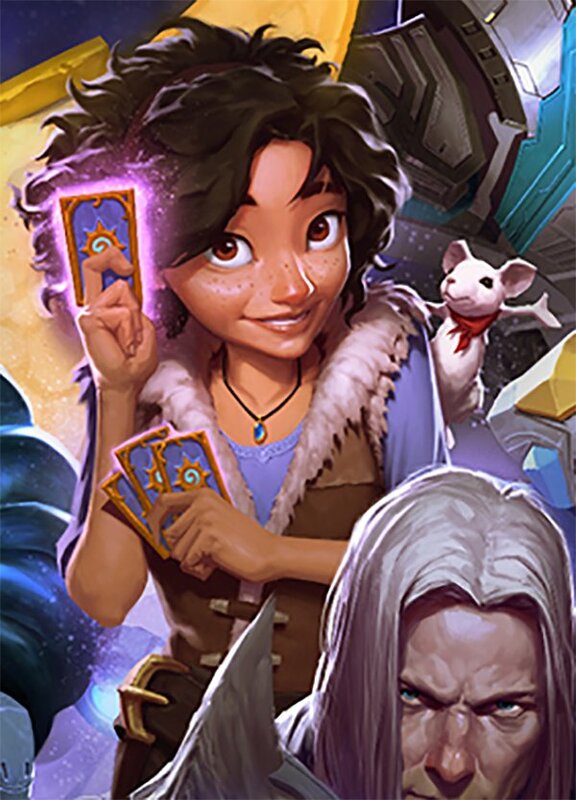 Hearthstone — Girl holding Hearthstone cards. White rat on her shoulder. Not long ago, during the Activision Blizzard Q2 2017 financial conference call’s Q&A, Mike Morhaime mentioned there were multiple IPs in incubation at the studios (read the transcript). Morhaime specifically highlighted a mobile game. Could you talk at a high level how Blizzard is allocating its time and resources right now? What percent of man-hours are spent on new IP versus existing IP? And I guess I’d be curious to hear you talk about how you think about Blizzard’s new IP pipeline the next three to five years. Morhaime: First and foremost, I’d just say that the bulk of our focus continues to be supporting our existing players and releasing high-quality content for our existing games. This quarter is a great example of that approach. We delivered a consistent flow of updates, and new content across all of our games; and that has driven record engagement even without a new game launch. We are also really excited about the future. In addition to supporting all of our live games, we are committed to incubating new initiatives, and we are also thinking about different platforms, especially mobile. In terms of new IP, our pipeline is in a better position than ever before in our history. Last year, Allen Adham (who co-founded Blizzard with me and Frank Pearce) returned to the company to take on the task of coordinating our efforts in this regard; and this includes some great ideas that we had already started to explore. So we now have multiple dedicated incubation teams that are being led by some of our most experienced game designers at Blizzard. I should say that creating new Blizzard-quality games on any platform will take time; and as we have shown in the past, we are not going to release any games that we don’t feel live up to our expectations, or those of our players. When we do bring new experiences to current or new platforms for new and existing IPs, there are going to be ideas that our teams are passionate about, and that we think there is a large audience for.